Bellingham is a town in Norfolk County, ﻿Massachusetts United States. The population was 16,332 at the 2010 census. The town sits on the southwestern fringe of Metropolitan Boston, along the rapidly growing "outer belt" that is Route 495. Bellingham is located at the southwestern corner of Norfolk County, just northwest of the northeast corner of Rhode Island. It is bordered by Medway on the north, Franklin to the east, Wrentham to the southeast; Woonsocket, Rhode Island, on the south; and Blackstone, Hopedale and Mendon to the west, and Milford to the northwest. Bellingham is 23 miles (37 km)southeast of Worcester, 30 miles (50 km) southwest of Boston, and 20 miles (30 km) north of Providence, Rhode Island. It's close to the Wrentham outlets. The area of the town south of the Charles River constituted the southwestern corner of the Dedham Grant, which sprouted much of what has become Norfolk County. The land was swampy, and the town of Dedham did not believe it worthy of settlement. The area north of the river would be purchased by Edward Rawson, and due to the settlement of borders with the surrounding communities, these two areas would eventually merge. By 1713, there were enough citizens to warrant village meetings in the area. By 1718, the village petitioned for separation, and the town officially incorporated on November 27, 1719. The village was originally named "Westham" (short for "West Dedham"), but at the time of incorporation, its name was changed to Bellingham without record of the benefactor. 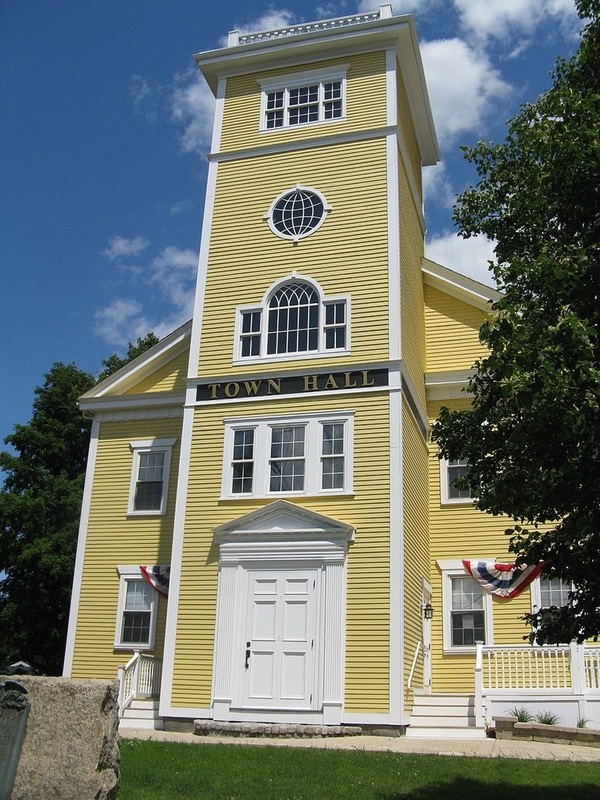 The town is named for Richard Bellingham, an early governor of the Massachusetts Bay Colony. Interstate 495 runs across the north end of town, with only one exit in the town itself, Exit 18 at Hartford Avenue (Rte. 126). Exit 17 in Franklin is just about 3 miles (5 km) from the town line leading to the town center. State Route 126 runs north to south from the town of Medway to the Rhode Island border. State Route 140 runs east to west from Franklin to Mendon. The town went from having no traffic lights in the late 1980s to well over a dozen in 2006. The town currently has no mode of public transportation of its own. The nearest small craft airport is at the Hopedale Industrial Park Airport, just over the town line along Route 140. The Worcester Regional Airport is twenty-eight miles away, and the nearest national air service can be reached at T. F. Green Airport, thirty miles away. The nearest international airport is Boston's Logan International Airport, 35 miles (56 km) away. There is no rail service in town; however, the MBTA's Franklin Line terminates just 2 miles (3 km) from the town line at Forge Park/I-495 in Franklin and approximately 5 miles (8 km) from the town center. The neighboring city of Woonsocket, Rhode Island had proposed a plan to bring commuter rail service to the area which would require an extension of the MBTA Franklin line. Commuter rail service to the Greater Woonsocket area would essentially bring the rail line through the town of Bellingham, Blackstone, and terminating in Woonsocket, bringing an increased amount of tourism to the area, and increasing ridership in persons commuting to the city of Boston and Logan Airport.